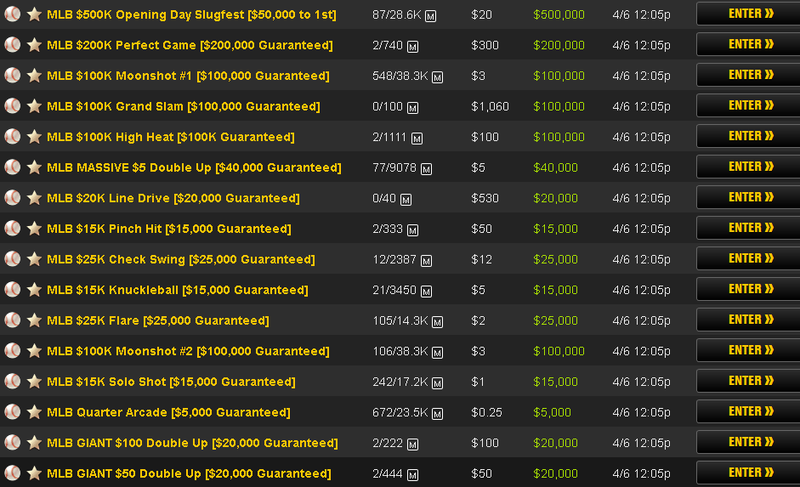 Fantasy baseball contests are open for registration on DraftKings Now. There is a full schedule of over 650 fantasy baseball contests available. Opening Day fantasy contests will include all 14 of the MLB scheduled games on Monday, April 6th. 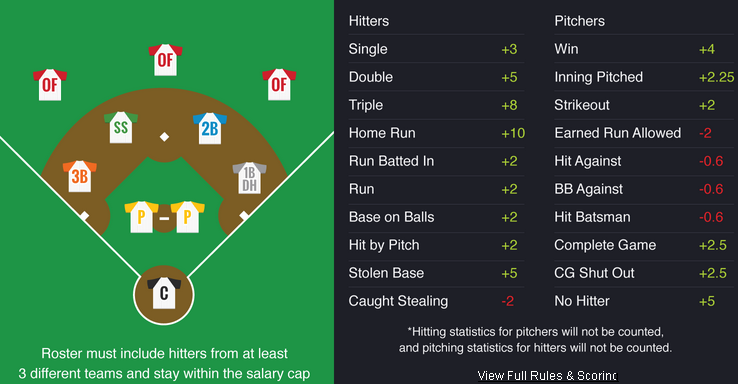 Pay close attention to all Spring Training News, get yourself in shape to get your share of the over $300 Million Dollars that DraftKings is paying out this 2015 MLB Baseball Season. *Opening Day fantasy salaries for available players are now listed on the draft rooms and will not change until all opening day games are completed. *Probable starters will be flagged on draft rooms in time for you set your line-ups for opening day. *Top Name Starting pitchers start in the $9K to $12K salary range to start the season. *Top Name Hitters are starting at about $4K to $5K to start the season. All New Draftkings players who Sign-up and Deposit will get a entry into their first cash paying contest, absolutely free. $500,000 Slugfest $20 buy-in, 1st place pays $50K. $200,000 Perfect Game $300 buy-in, 1st place pays $30K. $100,000 High Heat $100 buy-in, $10K to 1st place. $100,000 Moon Shot $3 buy-in, $10K to 1st place. $15,000 Solo Shot $1 buy-in, $1k to 1st. 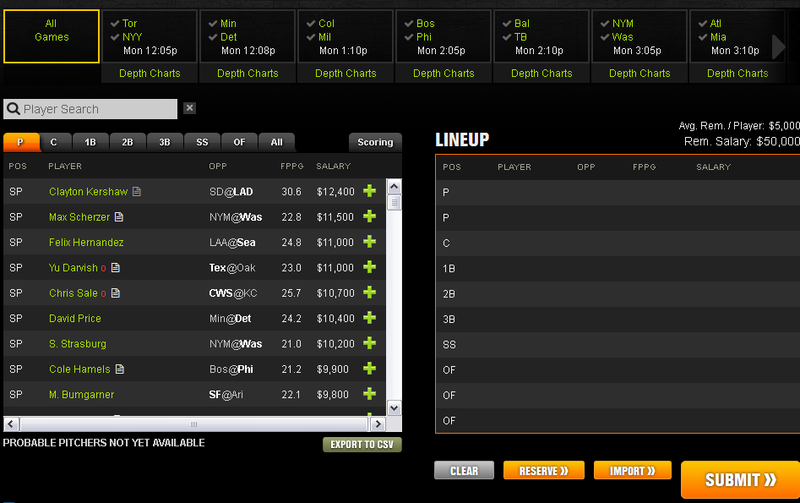 You will have a $50,000 salary to spread on your 10 man line-up, you must use players from 3 different MLB teams. Visit DraftKings Now to get yourself primed for the new baseball season and get ready to play your way into a really big fantasy championship win. « Can you win a Million Dollars playing in the Masters?